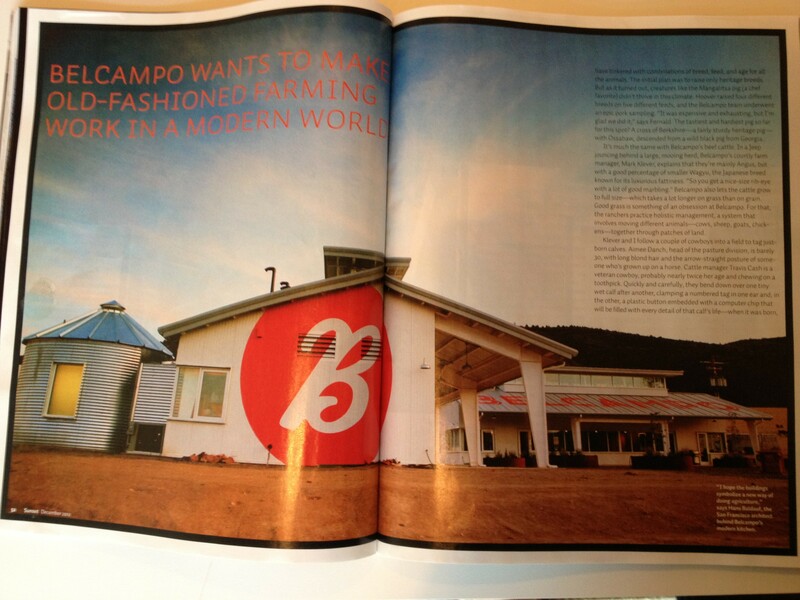 Belcampo has a full feature article in Sunset’s December 2012 magazine, on newsstands now! Written by Margo True, with photography by Brown Cannon III, the article revolves around Anya Fernald, CEO of Belcampo, during a day spent cooking, eating, and exploring their 10,000 acre ranch near Mt. Shasta. Hans Baldauf, the BCV partner who designed the ranch kitchen and offices as well as their new Butcher Shop and Cafe, was there to help in the celebrations, and is quoted in Sunset as saying “I hope the buildings symbolize a new way of doing agriculture.” We took a few photos of the spread, to show how gorgeous the food and supporting environment really is.